Usually IIS will occupied port 80 for those ASP.NET developer or some other reason, other application had grab over the port e.g: Skype. In this case, we might need to use different port for Apache web server. What changes need to be done? 1. Get your httpd.conf, usually located inside apache installation and inner conf folder. 3. Change Server Name with the correct port too. It will shown you which port are occupied by which programs. In case your 443 port being use by IIS and you are not using SSL on IIS. 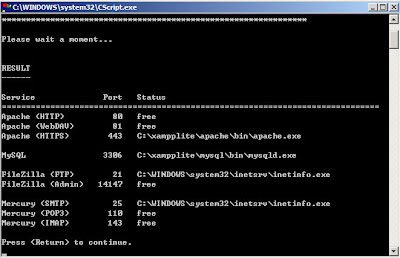 You can try to stop your IIS and start Apache before IIS.